Rebecca Thornson suddenly found herself in another world and must struggle to survive … except being in this otherworld is surprisingly easy? 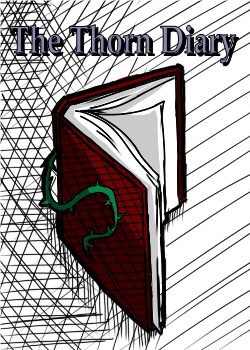 The diary of an otherworlder who bulldozes through problems easily becoming a reknowned hero. Magic? Simple to learn. Monsters? Delicious EXP. Enjoy a light story about a girl all too ready to take on the challenge of being a hero. Disclaimer: I have been writing for ages but this will be the first story I make public so I invite any welcome suggestions and criticisms with the caveat that I am an amateur. I have no expectations for this story as it’s more of an exercise in storytelling than it is a serious attempt at writing. This story is about the light-hearted side of isekais so please don’t expect too much from it and just enjoy a slow ride. Great fun so far. Near-perfect pacing.